In this post we will give you an insight into our Top 10 Business Studies Essays for college and university students. These essays and assignments will prove valuable reading and will assist you in structuring your own business studies assignments. We have many titles that will help university business studies students. Subject areas that we provide include: business management, HRM, marketing, economics, finance and accounting, all of which will be covered off in a business studies degree. Below are some outstanding business studies essays and assignments to get you started. Be sure to reference all material in accordance with your university’s guidelines and code of conduct. 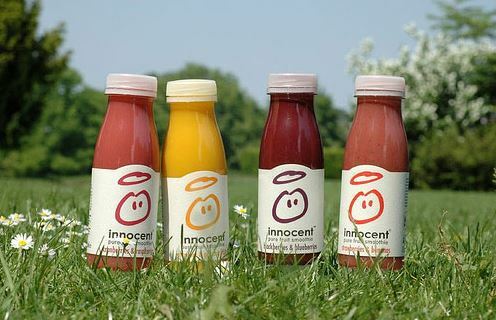 Innocent drinks was created in 1999 by three young entrepreneurs and has been 90% owned by The Coca-Cola Company since 2013. They produce smoothies, juices and veg pots which are sold in the UK and in a few European countries. The innocent drink brand values are healthy, natural, sustainable and ethically responsible. These values are reflected in their products, made exclusively with natural and sustainable sourced ingredients, with no added sugar and no concentrate, and whose 10% of profits go to charity. Innocent drinks communicate their brand values through above-the-line and below-the-line advertising by using subtle marketing techniques that seek to communicate the brand’s personality. According to academics core values are essential to defining the corporate brand identity and support the brand promise being made to the customer, and they guide internal and external brand building. 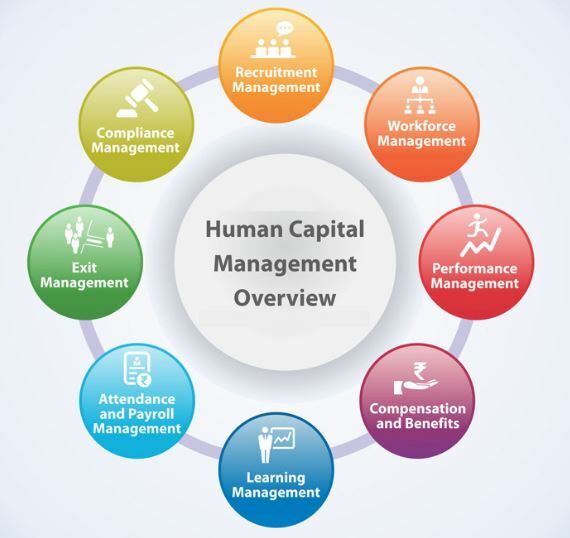 Human resource is the most crucial asset of a firm since the organizational growth and profitability are determined by the effective human resource management, according to Reece (2013). When a firm successfully places the best employee to the suitable position, the productivity tends to increase. In this case, an effective and efficient employee adds value to the organizational well-being. The employees of a firm deal mostly with the customers and service delivery to the customers is determined by the level of motivation to the employees. A motivated employee tends to engage with the job with higher intensity and persistence. This higher intensity and persistence result in quality and timely service to the customers. Hence, customer satisfaction is closely linked with the employee motivation. Employee satisfaction as well as customer satisfaction leads to the organizational growth and profitability for a firm, claimed by Truss et al (2012). In this case, the role of customer satisfaction on sales turnover can be referred. When customers are satisfied, the loyalty of the customers increases. Besides this, the customers also do word of mouth marketing for the firm which lead to growth in sales. Thus, the profitability and growth of the firm is ensured. Business organisations are primarily instituted with the rationale of maximizing shareholder value through growth. To achieve this end, businesses will have to operate in a competitive landscape characterized by high uncertainties. Given the kind of environment they operate, businesses can be affected by financial volatility such as the credit crunch of 2008. 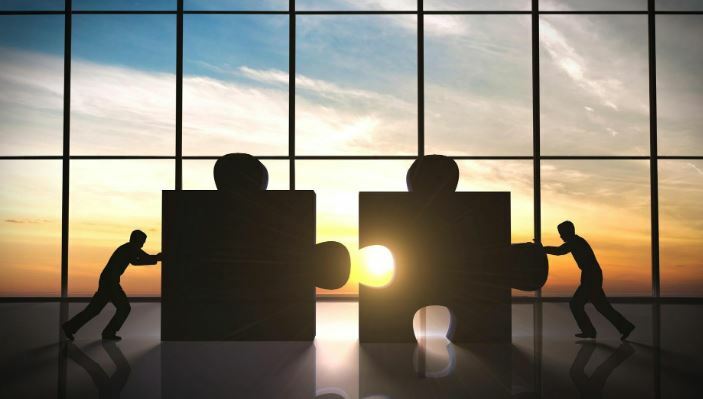 One of the strategies to offset this financial distress is through Mergers and Acquisitions (M&A). This report will carry out a performance review in the banking sector on the acquisition of Halifax Bank of Scotland (HBOS) by Lloyds Banking Group within the precarious times of the global financial recession in 2008. Drawing on qualitative and quantitative information this report aims to establish the profitability effect of the acquisition on acquirer. The report also reflects on the rationale that necessitated this acquisition and the effect its announcement had on shareholder value. Secondary data in the form of profitability ratios (2004 to 2013) will be sourced from OSIRIS and FAME financial databases. Other qualitative information for analysis will be sourced from annual reports of the banks and credible news agencies. Share prices to be used to perform the event study will be sourced from Yahoo Finance. Performance indicators in the form ratios will be analysed using graphical interpretation of results with the help of Microsoft Excel. The event study will be performed using the market model in deriving the abnormal returns on the day of the announcement. The performance of the acquirer will be bench-marked through a trend and peer analysis review. Market segmentation can be defined as the division of a market into smaller segments of buyers with distinct needs, characteristics or behaviors that might require separate marketing strategies or mixes. 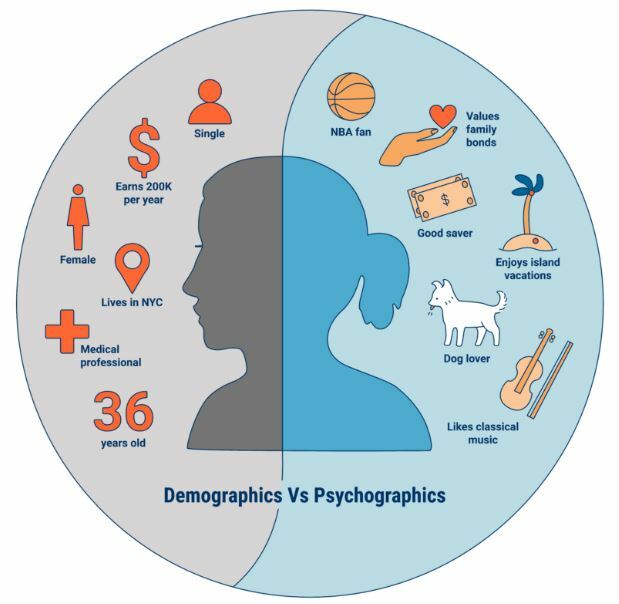 Psychographic segmentation is a mechanism of market segmentation that is utilized to divide the heterogeneous whole market into sub markets whereby each individual shares homogeneous traits, socioeconomic statuses, personality or behavioral characteristics. The luxury goods industry is a market that consists of copious products that present themselves as being of superior quality and functionality in juxtaposition to competitors, while also attaining esteemed regard and a high perceived quality by consumers in the market. This report fundamentally examines the luxury goods industry with relation to aspects such as size, brand leaders, competition, market trends and consumer decision making, while subsequently utilizing theoretical knowledge of psychographic segmentation to explore managerial implications and strategies associated with the presence of certain consumers in the luxury goods industry. All information will be substantiated by expertise knowledge in the form of peer-reviewed journals, while also utilizing market-specific information derived from the passport database to enhance statistical and theoretical knowledge of the industry, and the methods of psychographic segmentation implemented to assess the luxury goods market. Leadership is the key to ensuring the desired efforts by different parties within a firm to achieve the goals and visions whereby the stakeholders are inspired and motivated for the achievement of individual goals as well as organisational goals. As the application of proper leadership theory can ensure the growth of a firm, the choice of leadership theory is often described as a complex decision to make. Considering the vision and mission of a firm, the leaders must choose to implement a leadership theory that can truly contribute to the organisational growth as well as employees’ professional development. Through innate qualities and hard work, leaders make a firm competitive in the industry. On the other hand, by showing flexibility; leaders transform their leadership style based on the opportunities and threats from the internal and external environment. In this paper, by focusing on a single approach different theories of leadership are assessed comprehensively. These theories of leadership are the benchmark for leaders to reinforce their control throughout the organisation. Leader-Member Exchange (LMX) theory of leadership is critically assessed in this paper to comprehend the development and implication of the theory in organisational framework. To be a successful leader in any organization, leadership theories help to give guidance of skills and character to people. 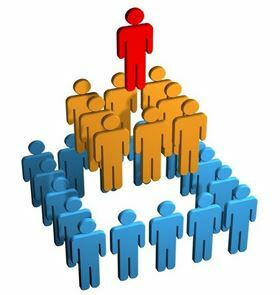 Several leadership theories like trait theories, contingency theories, behavioral theory and Leader –Member Exchange theory will be described here that helps to give different guidance in different situations. 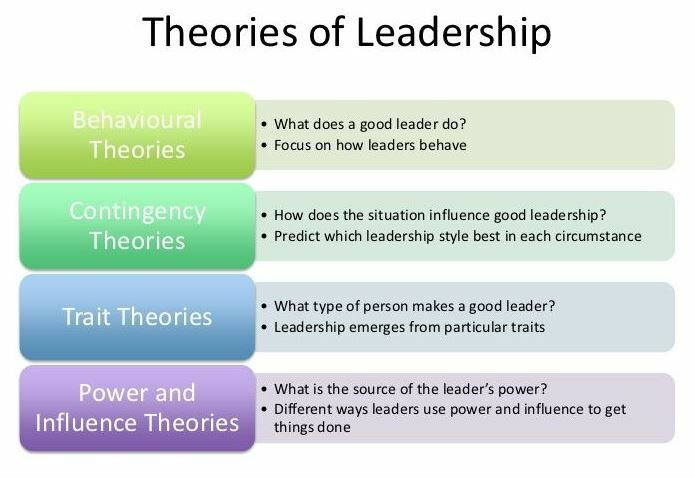 Among all these leadership theories, trait theories are one of the effective theories. In this study, Trait theories significance and empirical reviews are determined properly that helps to determine habitual pattern of behavior. Traits are different in different situations in different types of people that influence behavior. Leaders should be transforming their leadership styles in different situation to adjust with market demand and to enhance leadership qualities and approaches. When leaders can get effective leadership skills and attributes, then they can handle any type of situation easily and enhance organizations well-beings as well as individual development. 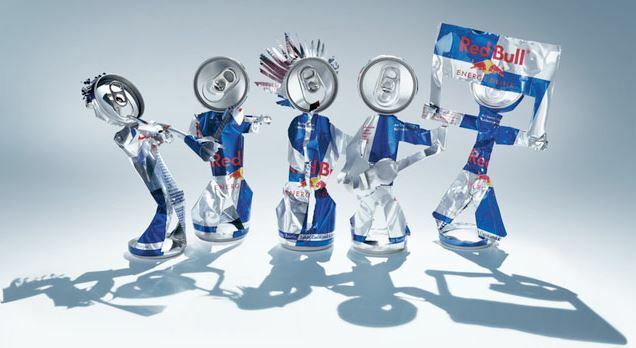 Red Bull was the first company to offer Energy Drinks throughout the world, creating a completely new category on the consumer beverage marketplace, therefore becoming synonymous with energy drinks for a large number of consumers. This new category of Energy Beverages is sold in over 169 countries worldwide, making Red Bull Energy Drink market extremely broad. The product Red Bull sells is of course the drink and as described above there are some variants, but in the essence it is all based on the traditional recipe of the energy drink. Red Bull offers the customer a refreshing beverage that includes various stimulants. However a big part of the product is the branding; e.g. the substance found in the cans of Red Bull might seem extremely similar to competitors, the brand name, including the iconic packaging, is what defines the product that is offered by Red Bull and creates value for the customer. Managing and appraising the funds and activities of firm relates with the marketing management. In order to reduce the costs and increase the profitability of a firm, managing the marketing issues effectively is crucial. A start-up energy drink company has decided to launch their products. In this case, the United Kingdom (UK) environment will be considered to assess the internal and external environment of the new firm. With the help of different models like PEST, SWOT, Five Forces, etc. the firm’s internal and external issues as well as competitive factors will be assessed. A marketing plan will be developed considering the SMART objectives along with the 7P analysis of the firm. 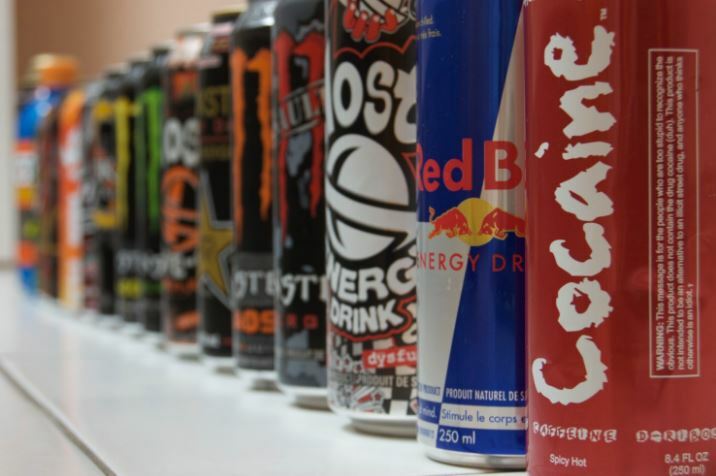 The energy drink industry is a competitive industry with giants like Monster, Rockstar, Red Bull, etc. operating in the industry. To formulate the marketing strategy of the start-up, a critical assessment of the marketing and promotional assessment of the giant firms will be conducted. Strategic management deals for better arrangement of corporate strategies and strategic significance to maintain optimum administration practices. Any business strategy gives the guidelines and ways of enhancing company’s profitability and achieving competitive advantages. 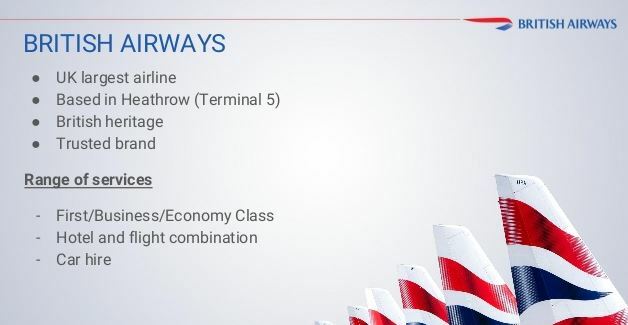 This report will be described several terms and concepts of strategic management based on British Airways Company. As a consultant of British Airways, I have to suggest business new or incremental strategy for business resilience and sustainability. At the very first part of this report, internal and external environmental factors will be described by using SWOT analysis and Porters five forces model. A new or incremental strategy will be recommended based on company’s strategic capabilities, competitive analysis and organizational structure. Recommended strategy will be critically analyzed and developed a relationship with human resource capital, financial conditions, operational conditions and technological conditions in the second part. Change management program will be determined in the last part of this report and factors to be determined that may hamper or enhance change management program here. This report has focused on the need for strategic change within GlaxoSmithKline (GSK) a UK based global pharmaceutical manufacturer and distributor. The report has identified the strategic need of change within the international value delivery system of GSK. 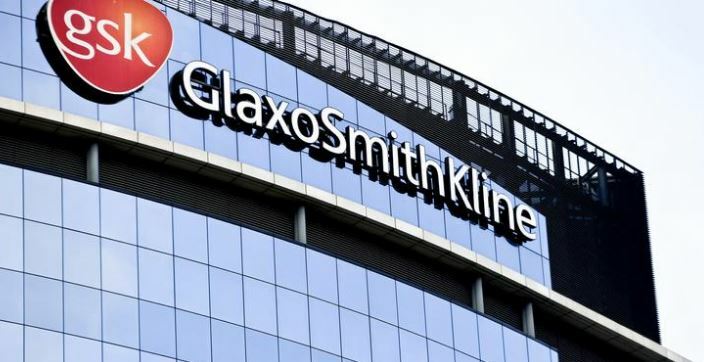 This report has identified that GSK is facing problem with its current hierarchical organisational culture which has been resulted in interrupted organisational communication and inefficiency in the value delivery process. The factors driving the change process are volatile financial performance, changing customer buying behaviour and the intensity of the market rivalry. McKinsey’s 7S Change Model has been suggested to bring the strategic change within GSK. The challenges to the change process that have been identified are employee resistances to change, resource constraints and ideological resistances to change. The change process is aimed at enhancing organisational efficiency, organisational value, uninterrupted organisational communication and employee engagement. The purpose of the paper is to evaluate three dimensions of supply chain management at IKEA. 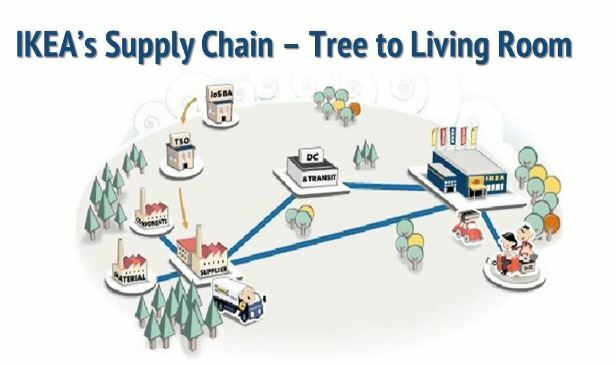 The supply chain management is wide concept and IKEA retail business is familiar with it. The IKEA business is being evaluated in its first dimension the structure adopted by it. Logistics structure, supply chain structure and product development structure are being studied in this report. The second dimension of report has showed that what kind of issues and problems in its current logistics structure. Lastly, it has showed that how structure is recommended so that it can meet challenges in future while adopting business in most competitive business. The first part of report also showed that what is uniqueness of business and show it has adopted that uniqueness ideally. The business nature of business and retailing process development are core elements of report. The main concern of report is to identify that how much IKEA is responsible towards society and its customer and even with its suppliers. This is only possible with low cost production, just time model n supply chain management and cost effective supplier selection. The report has ensured with several mindsets about supply chain management that how IKEA is leading in retail industry. The era of globalization is here as economies are integrating with other economies, expanding and are exposing themselves to universal marketing decisions. 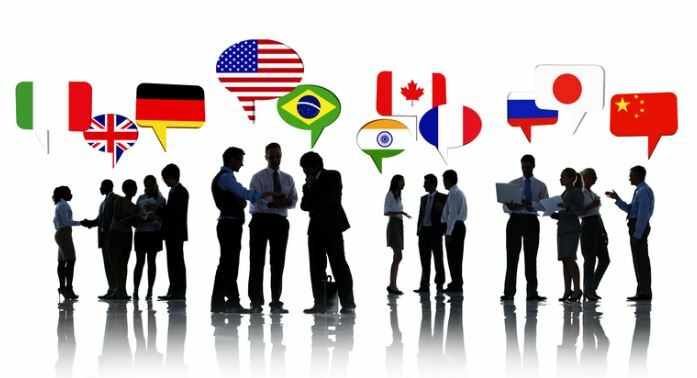 Marketers in the international market need to understand that promotion of a product is adversely affected by cultural patterns in various countries. The demand trends for various products and choices of people depend on cultural values, customs, and tradition of a specific region. Culture is depicted entirely by the attributes and way of life of a particular group of people. This entails the way people speak, believes, their dressing styles, learning, attitudes values, and norms. Many factors are there which affects the marketing process for a product like economy, competition, target market, and budget but culture play an essential role on impacting consumer preference which was not seen as a critical element many years ago. Marketing processes relate to planning, product promotion to cope with cost control, maintaining quality and competition. If you enjoyed reading this post on our Top 10 business studies essays, we would be very grateful if you could help spread this knowledge by emailing this post to a friend, or sharing it on Twitter or Facebook. Thank you. This report has completed a situation analysis on Video on Demand provider Netflix. Through doing so, digital marketing objectives have been constructed. To perform the situation analysis, four primary areas have been explored; the overview of business, the industry, competitors and the target market. Findings suggest that Netflix is a highly successful company based upon both financial success and brand recognition. With few competitors, Netflix has established a business model which allows them to offer a high quality product at a competitive price. With various revenue streams, the business is profitable and has displayed abilities to adapt to technological change. However, a lingering threat of piracy persists with the potential to adversely affect profitability. This is particularly prevalent as Netflix’s target market has been identified to primarily consist of students, of whom have lower levels of disposable income. Despite this, Netflix has grown in popularity across both males and females, with users across age ranges. The popularity can be attributed to the variety of content, but also the user’s ability to access it from almost any internet enabled device. Research further highlighted that almost all those living in the UK have a form of internet access. This emphasised the potential Netflix has to grow their brand and product. If you enjoyed reading this Situation Analysis for Netflix UK, I would be very grateful if you could help spread this knowledge by emailing this post to a friend, or sharing it on Twitter or Facebook. Thank you. Strategic management is a technique used by managers to give a firm a long-term direction and involves a systematic analysis of decisions, actions that create a competitive advantage. It involves the analysis of strategic goals, vision, and mission and the internal and external environmental factors in a firm. SWOT is an acronym standing for strengths, weaknesses, opportunities, and threats. SWOT analysis involves the assessment of a firm’s internal strengths, weaknesses and the external opportunities and threats (Henry, 2008). This analysis helps to identify the strengths and capabilities to minimize weaknesses, along with identifying opportunities to overcome threats. In reference to Toyota Company, leading automobile firm, a SWOT analysis on the company’s Strengths, weaknesses, threats and opportunities are as follows. Toyota has strong horizontal integration merge verses the competitors who have vertical integration relationships. Strong relationship with supplier creates a competitive advantage, and it informs of updates or any developing changes (Henry, 2008) Horizontal merge proves to be cost effective, reduce risks and increase benefits. Merging helps to pool together resources of the combining companies, creating a favorable business environment. Synergy is one of the benefits of combining companies, and sharing of resources e.g. distribution channels. Toyota opts for best suppliers in Japan. Toyota has a strong culture advantage, employees’ devotion in their jobs, performance and desire to improvement. It treats it employees with legitimate sense of respect and loyalty. The Japanese value work differently from competitors for instance the Americans this is reflected in their quality products they offer to the market. Toyota in invests more its employees empowers them to be creative and innovative (Hino, 2012). A strong sense of respect of hierarchal authority enables fast decision-making and implementing Strategic plan. A weakness is something or a condition that hinders a firm from achieving it objectives. It is a competitive deficiency (Henry, 2008) Toyota offers financial services such as insurance, credit cards. These services report low profits to the firm than other segments. Such financial services can render a competitive edge as well as a deficiency in for firms the financial strength. Toyota use the just in time system which gives Toyota a competitive advantage, but too much dependency of this system can lead to malfunction if the supplier provision does not meet the requirements of the firm. Failure to meet these requirements affects the products quality in addition, to the manufacturing system. Toyota capitalizes on the strengths to meet its threat and take advantage of the external opportunities. Toyota has a strong cultural advantage that enhances the organization structure, focuses on teamwork rather than individual efforts. It inspires creativity and innovativeness to employees to improve the quality of its products. Loyalty when dealing with employees and a unfailing sense of respect of the authority. Top managers make decisions, the employees respect their high figures, and this enables quick decision-making. It internal leadership and management helps Toyota to dominate the automobile industry. Toyota depends too much on its suppliers, this leads to a strong reliable relationship with it suppliers (Hino, (2012). Although this could be a weakness but it gives Toyota a competitive advantage over the competitors such as General Motors. Toyota is a dominating automobile firm, its produces affordable cars and other automobile related products. 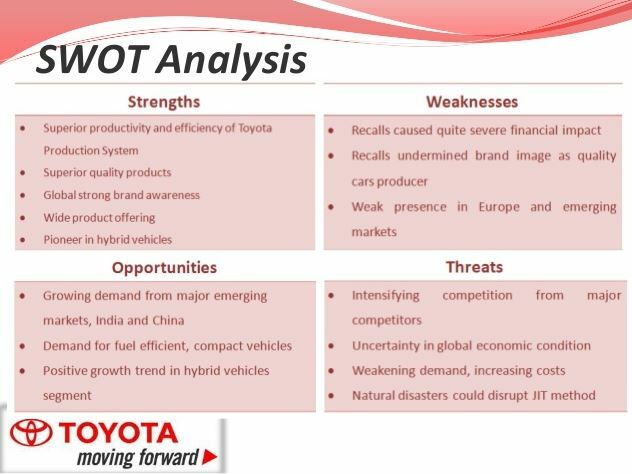 A SWOT analysis identifies Toyotas strengths, weaknesses, threats and opportunities. Internal analysis involves the assessment of the firm’s internal environment factors such as the organization structure, leadership and management among others. Toyota has a stable structure and principled leadership design (Hino, 2012). The quality of the products and employees loyalty dictates the strengths of the firm. Toyota is loyal to employees and produces quality products. However, Toyota faces threats such as competition from existing and emerging firm in the automobile industry. It takes advantage of the internal strengths to take advantage of opportunities and minimize threats. Toyota Company has a strong relationship with its suppliers. This helps to fight the upcoming firms and the existing firms in the industry. A complex distribution channel discourages competitor’s efforts. Toyota uses it strengths to take advantage of opportunities, it has high producing capacity at minimum costs. They produce quality and affordable cars in the market (Hino, 2012). They differentiate their products to meet the consumers emerging desires. Toyota has incentives and discount programs that help improve the profitability of its financial services segment. In Strategic, management SWOT analysis is a continuous process since the environment is changing. Toyota needs inspires its employees to continuously think of strategic changes that enhance improvement in quality of products in the future. It requires strong strategic plans difficult to duplicate, corrective actions to maintainable a competitive position of a leading automobile in the world. Henry, A. (2008). Understanding strategic management. Oxford: Oxford University Press. Hino, S. (2012). Inside the mind of Toyota: Management principles for enduring growth. New York, N.Y: Productivity Press. Pearce, J. A., & Robinson, R. B. (2004). Strategic management: Formulation, implementation, and control. Boston, Mass: McGraw-Hill. If you enjoyed reading this post on the SWOT analysis at Toyota. There are many other titles available in the Marketing Dissertation collection that should be of interest to marketing students and practitioners. There are many dissertation titles that relate to other aspects of marketing such as branding, corporate advertising, marketing strategy and consumerism to name a few. I would be grateful if you could share this post via Facebook and Twitter. Feel free to add your thoughts in the comments section. Thank you. This approach is helpful in preventing the potential business risk and ensures that the business is not contributing to unacceptable level of harm to the society and environment. Thus, adopting the approach of shared value is helpful for companies to prevent risk to the external environment (Sirianni, Bitner and Mandel, 2013). Developing an image of responsible corporate citizen has become prime objective of the contemporary organization to achieve long term sustainability. A positive corporate image appeals to regulators, investors, customers that is helpful in maintaining dignity of the entity in the market. Thus, shared value approach enables company to develop a positive image in the eyes of its stakeholders. Another important objective of creating shared value by the businesses is to reduce the consumption of scare resources such as energy, water and other materials. This will not only help company to become responsible citizen but it will also be helpful in reducing cost to the company (Klepper, 1996). Nespresso has also adopted shared value approach to achieve above described objectives. It is the brand name of Nestle Nespresso S.A. which is an operating unit of Nestle group. At the heart of Nespresso’s success as a brand lay its commitment to exceptional cup quality. Chief Executive Officer (CEO) of Nespresso has already committed the organization with the concept of shared value as an operating principle. Share value approach recognizes societal needs in addition to the conventional economic needs (Nespresso and Alliance, 2003). Furthermore, it also recognizes social harms and weaknesses that frequently create additional internal cost to the company in terms of energy waste, costly accidents and the need for remedial training. It is evident that coffee industry is facing significant social and environmental challenges therefore; companies like Nestle have adopted the shared value approach. The principle of shared value was developed by Harvard professors Michael Porter and Mark Kramer in year 2006. According to this principle, companies do not only have responsibility towards shareholders but for communities also in which they operated from farmers to customers and ultimate consumers. Nespresso concept was developed on the basis of an espresso extraction system that enables discerning espresso coffee consumers for preparing excellent quality espresso coffee at home. The Nespresso business model is based on a threefold commitment to the unique extraction system that is an innovative and efficient direct to consumer club membership model (Markides and Charitou, 2004). Thus, Nespresso brand has created iconic luxury brand image along with exceptional quality and use of advanced technology. The shared value approach is strategically relevant to the brand because customers were found motivated with the different aspects of brand and product that also includes a group of 16% consumers who define the brand as ‘eco committed’. Customers of this brand believe in liking good things but in a responsible way. Thus, shared value approach has helped company to reel in greater number of customers because they are significantly interested in sustainability program of Nespresso. There are various perspectives of shared value which can be discussed in context to Nespresso. The company has its own key drivers of Free Cash Flow and Weighted Average Cost of Capital that can be placed by strategies intended to create shared value. Nespresso offers eco-friendly coffee products in form of outputs which creates societal value. The assessment of the case of Nespresso reveals that the unique features of the Nespresso business model has led exponential growth rate i.e. 30% per annum in recent few couple of years (Lovell, 2014). As a result of this, Nespresso has become Nestlé’s fastest growing businesses as the company has managed to grow at a faster pace. One of the major strategic challenges which are faced by Nespresso is to manage the growth in all areas of its business including human resource, supply chain management and marketing. Michael Porter and Mark Kramer have addressed the reasons for carrying out sustainability programs by the company. The shared value approach provides that companies are required to identify the connection between activities of a company and activities and needs of the society. This will help company to attract new customers and secure higher level of brand loyalty as customers are inclined towards eco-friendly products and services. Thus, the creating shared value has been adopted by Nestle that uses the framework for creating value for different stakeholder groups including society (Porter and Kramer, 2011). Hence, Nespresso has identified water, rural development and nutrition as main strategic shared values by using the model of Porter and Kramer for shared value. Thus, this coffee brand has identified its own social opportunities with wider society. Nespresso has launched an integrated shared value framework, “Ecolaboration” in order to group together its sustainability efforts in varied areas such as carbon footprint reduction, sustainable coffee farming and spent capsule recycling (Alvarez, Pilbeam and Wilding, 2010). Thus, this business unit of Nestle has used this framework to successfully implement its business strategies and achieve its mission and vision. 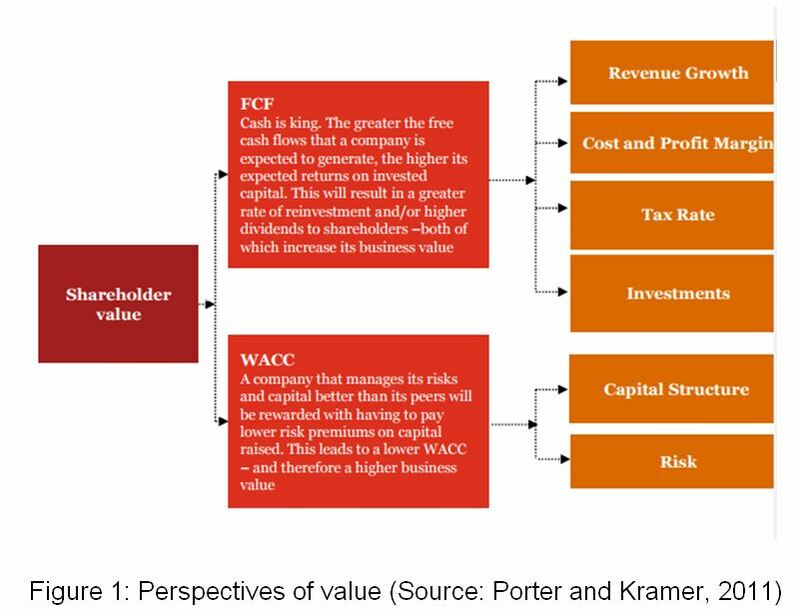 From the above discussion, it can be said that Porter’s and Kramer’s shared value model has significant strategic relevance to the case of Nespresso. Introduction stage This is the most expensive stage in the life cycle of a product because it is launched with heady expenses on advertisement. In addition to this, company is required to spend higher amount for customer testing and research & development activities. Nespresso is a globally managed business which was established in 1986. The product consisted of high quality coffee packed in aluminium capsule in specially designed machines for exclusive use (Staff, 2009). Thus, initial stage of this product demanded higher expenses on research. Growth stage It is the second stage which is generally known by a strong growth in sales and profitability of the company. This is because company gets benefit from economies of scale in production. It is helpful for the company to invest more money in various activities related to marketing and product promotion (Anderson and Zeithaml, 1984). Nespresso is one of the fastest growing businesses of Nestle and its many products have passed from this stage. Maturity stage It is a stage in which product is well established in the market and the aim of the owner of the company becomes to maintain the same market share as in growth stage. Thus, it becomes a competitive time for the company as wise decisions regarding investment in product are required to be taken (Achabou, 2014). In addition to this, significant changes in the products are also made in order to maintain the market share. Decline stage This is the last stage of a product’s life cycle as market starts shrinking in this stage. There can be various reasons of shrinkage of market such as entrance of new brand, consumer switching or saturation. In this stage, rather than expending on marketing, companies are recommended to adopt less expensive production methods to make some profit (Matzler, Bailom and Kohler, 2013). The above discussion on stages of product life cycle provides insightful information regarding strategic relevance of assessment of PLC of a company. Nespresso can also analyze its product life cycle in order to make strategic decisions. The positioning strategy can also be discussed in relation to PLC for sustainability of the brand. This coffee brand has positioned itself as a premium brand which creates high quality coffee products. Furthermore, it has adopted differentiating positioning strategy with an image of exclusivity due to high quality service and extensive customer service. Thus, the company has positioned itself as a high quality luxury brand and created a sense of belongingness to an elite group of customers which justifies the price (Day and Payne, 2014). This positioning strategy may not be appropriate in the introduction stage of its PLC because it requires huge investment on advertising and marketing activities. The products and services offered by Nespresso are costly as the company targets elite group and additional expenses on marketing will increase overall cost to the company. For any business entity, profitability is the prime concern for achieving sustainability but in introduction stage, this positioning strategy may not be appropriate. Nonetheless, complete cost of marketing is charged by ultimate consumer therefore, it may not be appropriate to associate cost with the sustainability of the company. In the similar fashion, the positioning strategy of the company can also be discussed in context to growth stage (Sheinin, 1998). Most of the Nespresso’s products are in the growth stage where company earns profit with considerable market share growth. As described above, growth stage in PLC assists company to invest more money in advertisement as company witness strong growth. Positioning of Nespresso as luxury brand can offer even stronger growth and prosperity to the company. In this stage, this positioning strategy can said to be appropriate from the perspective of sustainability of the brand in long run. In this stage of Product Life Cycle, benefits of economies of scale can be achieved by the company therefore; more investment can be made in marketing and advertising activities (Staff, 2009). This would help company to establish itself as a strong and premium brand by investing in campaigns based on the approach of shared value and Corporate Social Responsibility (CSR). In the similar fashion, positioning strategy has also been critically examined for other stages including maturity and decline. In these two stages, the discussed positioning strategy of the company may not be appropriate because in this stage, customers start switching over other brands and find alternatives. Thus, investment in marketing does not remain workable and therefore, companies need to cut the cost and find the cheaper ways to make some profit (Achabou, 2014). In such a case, Nespresso may not sustain if it continuous to offer those products with premium brand appeal. Nonetheless, new products can be introduced or modifications can be made to retain customers. Thus, from the above discussion, it can be said that positioning strategy is effective and correct from the perspective of sustainability. Achabou, M. A., 2014. Brand influence on consumer preference for environmental labels. ICT. Alvarez, G., Pilbeam, C. and Wilding, R., 2010. Nestlé Nespresso AAA sustainable quality program: an investigation into the governance dynamics in a multi-stakeholder supply chain network. Supply Chain Management: An International Journal. 15(2). pp. 165-182. Anderson, C. R. and Zeithaml, C. P., 1984. Stage of the product life cycle, business strategy, and business performance. Academy of Management journal. 27(1). pp. 5-24. Day, C. and Payne, D., 2014. God and Devil Terms in Corporate Discourse: Shared Value and the Transformation of CSR. In Academy of Management Proceedings. pp. 53-56. Kashani, K. and Miller, J., 2000. Innovation and Renovation: The Nespresso Story. IMD, Lausanne, IMD case study. Klepper, S., 1996. Entry, exit, growth, and innovation over the product life cycle. The American economic review. pp. 562-583. Markides, C. and Charitou, C. D., 2004. Competing with dual business models: A contingency approach. The academy of Management executive. 18(3). pp. 22-36. Matzler, K., Bailom, F. and Kohler, T., 2013. Business model innovation: coffee triumphs for Nespresso. Journal of Business Strategy. 34(2). pp. 30-37. Lovell, N., 2014. Case studies: Nespresso and the coffee brand. Nespresso, N. and Alliance, R., 2003. Memorandum of Understanding between Nestlé Nespresso and SAN. Porter, M. E. and Kramer, M. R., 2011. Creating shared value. Harvard business review. 89(1/2). pp. 62-77. Sheinin, D. A., 1998. Positioning brand extensions: implications for beliefs and attitudes. Journal of Product & Brand Management. 7(2). pp. 137-149. Sirianni, N. J., Bitner, M. J. and Mandel, N., 2013. Branded service encounters: Strategically aligning employee behavior with the brand positioning. Journal of Marketing. 77(6). pp. 108-123. Marketing Essays Benefits: If you’re a marketing student then you’ve undoubtedly experienced a hectic schedule at university. You have assignments that are due and you know you’re going to be burdened with more academic work before you complete your degree. You could drive yourself insane trying to get everything done or you could buy a marketing essay to help you along. As you’re already aware, not all marketing textbooks offer too many practical and up-to-date examples. They can only teach you the theory behind marketing. 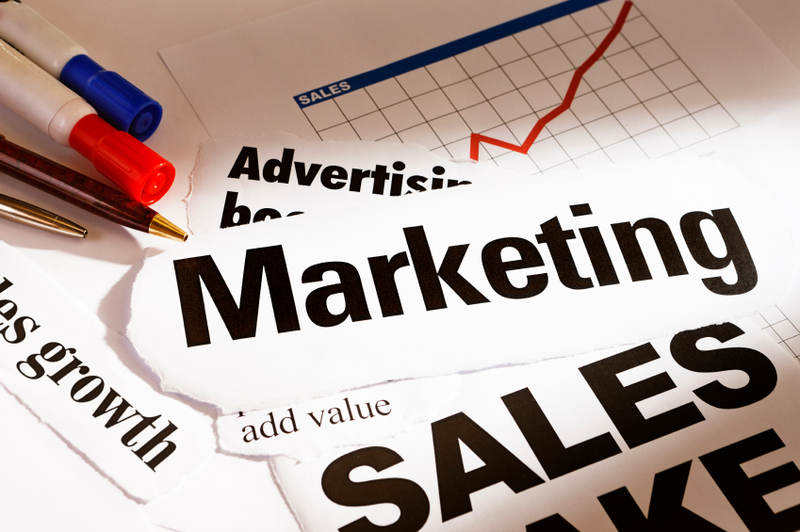 In order to gain a true understanding of marketing you need to look at marketing essays. You need to see legitimate results people and organisations have had with experimentation. Buying a marketing essay offers you an understanding of marketing that you wouldn’t get from just a textbook. Another advantage of buying a marketing essay is that you can save some time when it comes to writing your own essays. We strongly recommend that you use any marketing essay as a study guide only and to reference all material in accordance with academic guidelines. All the information that you need is already there so you’ve cut down majorly on research time. While you can also attempt to reword the essay so that it sounds like your own work, do be aware that this is plagiarism which is against the rules. If you are caught you could be seriously penalized. It’s best to use these marketing essays as a source of knowledge rather than your own essay. That is our key strength at study-aids.co.uk – We offer pre-written marketing essays, we will not write a marketing essay for you. When you buy a marketing essay and deepen your understanding of marketing you also become a better marketer; often before you’ve even graduated. Marketing is about so much more than just telling people what something is. You need to fully understand your audience, and that’s after you’ve chosen the right audience. 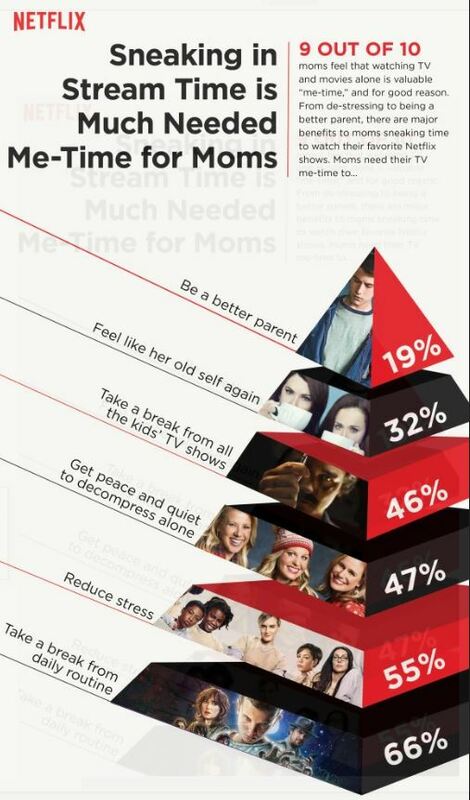 A lot goes in to a successful marketing campaign. By reading our collection of marketing essays you not only learn more about marketing as a whole, but you learn more about what does and doesn’t work. You improve your marketing ability by learning from the practical experience of others, without the need to spend much of your own time experimenting. While you may find free marketing essays online it’s better to actually buy them. The ones you find for free will generally be outdated, or of a poor quality. If you really want something then it’s better to pay for it. The quality will always be much higher. If you’re interested in obtaining genuine marketing essays to improve your study then paying is always the way to go. These are just some of the advantages of buying university marketing essays for us. They provide you with a deeper understanding of marketing, and you can be sure that you’re getting only the highest quality marketing essays. So if you need a little help with your marketing research don’t hesitate and visit us today. Brainstorm. Clustering works best for most people. Also, it’s a good idea to talk to other people about the marketing topic. Organize your ideas into groups of related ideas. Make an outline with three main ideas which all support your overall main idea. Summarize the whole body (your three main ideas) in one paragraph with at least one sentence for each main idea. You can add some opinion or suggestions at the end. This is your conclusion. Summarize your conclusion in one sentence. This is your thesis statement. Put this right before your first main idea. It will be the last sentence of your introduction. Write a funnel introduction (general to specific) that ends with the essay statement you wrote in the previous step. Summarize your thesis statement in two to five words. This is your title. Put it at the beginning of your marketing essay, and don’t forget to center it. Now your first draft is finished. Put your name, class name, professors name, and date at the top left or top right of the essay. Edit your essay. Most people find it best to print it out on paper and write editing marks by hand and then enter the changes on the computer. This will be your second draft. Get a friend or professional to edit your second draft (by hand). Enter these changes and print it out again. This is your third or final draft, depending on whether you have time for another draft.